Home » Features » Challenge response: Should medical crewmembers help with pre-takeoff checks? 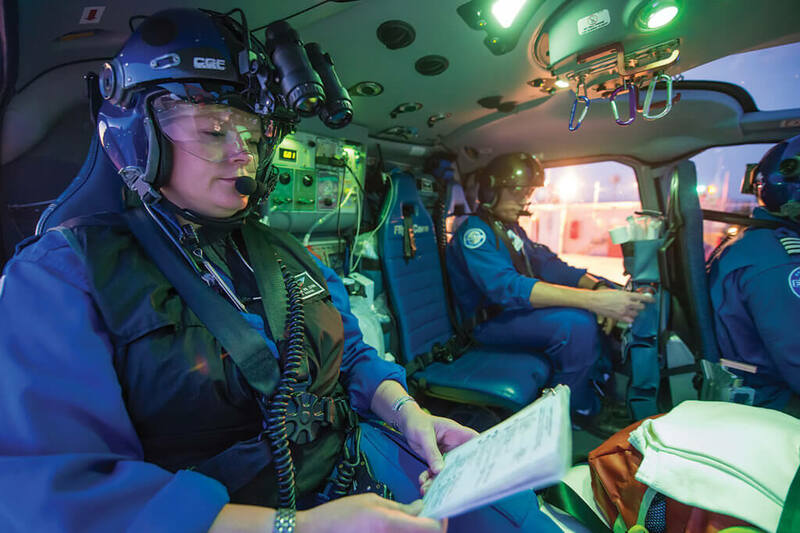 Challenge response: Should medical crewmembers help with pre-takeoff checks? 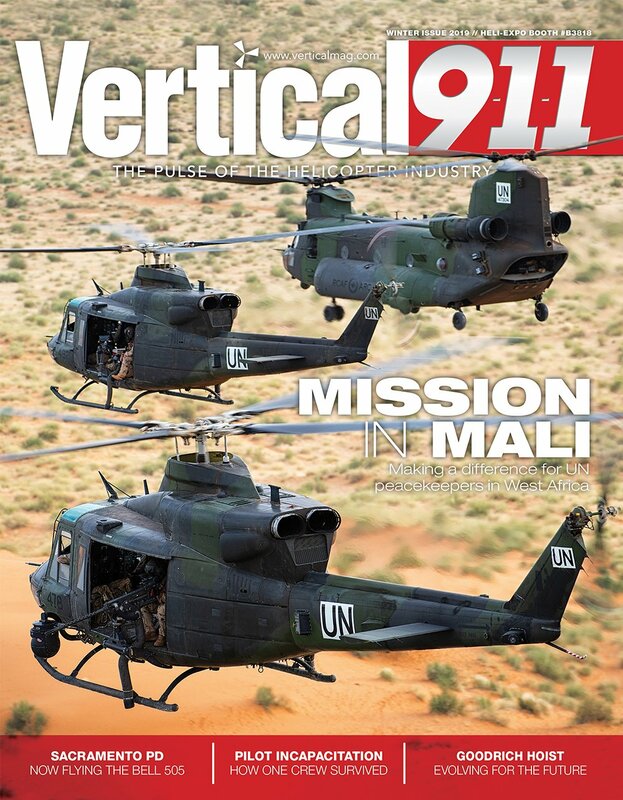 Editor’s note: This article originally appeared in the AMTC 2017 issue of Vertical 911. I wish I could say that it was my idea. I wish I could say that having a medical team member call out checklist items prior to takeoff was something I cooked up. I thought perhaps it was my old paramedic friend Les Langdale’s idea — he was the safety representative at the base in Charleston, South Carolina, where I first encountered the practice while filling in for a pilot who was out sick. I called Les and he told me it wasn’t his idea. They were doing it at Meducare Air, the program owned by the Medical University of South Carolina, when he started there in January 1988 — so it must have been someone who started the program in July 1987. I had to reach back further, to a pilot who started that base and this industry. “Oh! Let me think… You know, it was probably me!” He then told me some stories about the early days of helicopter emergency medical services (HEMS). Two or three pilots flew on a contract. Pilot shifts covered a full 24-hour day — or more. They called it helicopter emergency medical evacuation services (HEMES) then, and the rules for HEMES are still in the Code of Federal Regulations; a vestigial reminder of how things have changed. There were no operational control centers and no need for a flight release. There was less scrutiny. After killing so many people and destroying so many aircraft, we have evolved how we operate. We continue to evolve to prevent our extinction. Dave chuckled on the phone and said, “That was a real big deal. I was hiding under my desk for a while.” But they got through it, and they kept their placard. And it was there on the instrument panel with an identical copy in the aft cabin when I showed up in 2001, 14 years after they started. Somewhere along the way, Meducare Air had adopted the practice of having the paramedic sitting in the front seat call off the items, one at a time. First, the pilot would start and prepare the aircraft from memory, and then he would pick up his checklist and scan it for any missed items. That is “do-verify.” It is an “acceptable” method of checklist accomplishment and common in single-pilot operations. Then the pilot would stow the checklist and ask for the placarded items to be called off. The pilot would put his fingers on the control or switch for the item being challenged and verbally confirm that it was set correctly. 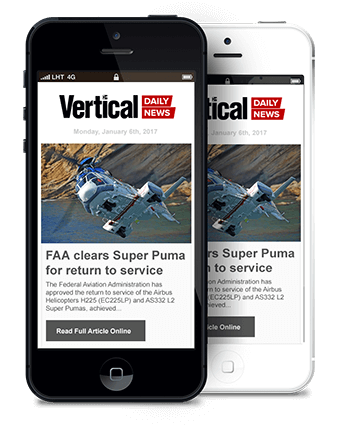 This “challenge-do-verify” method (or challenge and response) is a more deliberate method of ensuring that the aircraft is configured for departure — that the critical switches and controls are set correctly. They didn’t have every checklist item on this placard, only the ones that would kill you or destroy the aircraft. They added “drugs and mission equipment” because on more than one occasion they had departed without something needed to care for a patient. The medical team is human, too. So it wasn’t the Charleston ship that took off with the fuel transfer pumps in the off position and the instrument lights on early one morning shortly after sun-up. It was an Omniflight ship in Texas. The day pilot had arrived just as a flight request was coming in, and he decided he would take it. The night pilot had left the instrument lights on, making the master caution and warning and caution panel segment lights virtually invisible. In his haste, the day pilot forgot to turn on the transfer pumps. The aircraft’s engine supply tanks ran dry in flight with the mains almost full. The engines quit and the landing was “hard.” That pilot was paralyzed. A pilot forgetting to switch on transfer pumps that fill supply tanks has happened more than once. It happened in a medical BK117 in New Zealand in 2014. It apparently happened in a Police Scotland EC135 in 2013. If we don’t change how we operate, it’s going to happen again. While flying a Dauphin at State College Pennsylvania in 1999, I did the same thing — minus the hard landing. I got in a hurry, I was trying to beat some taxiing traffic, and I did a rolling takeoff with one motor at ground idle. Shortly thereafter, my friend at another base did the same thing. A good and smart pilot, he got a Dauphin up in the air and over wires before realizing that one of the motors was set to ground idle. 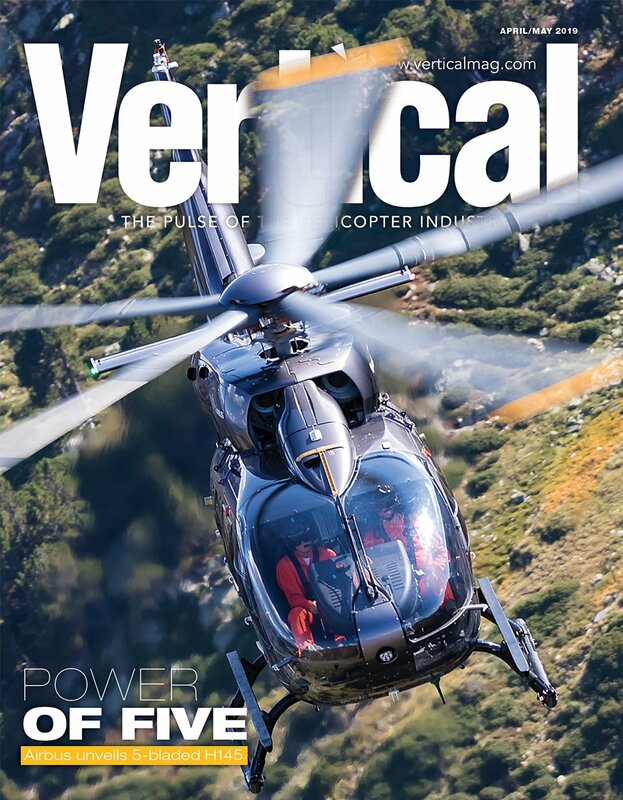 Krista Haugen, a co-founder of the Survivor’s Network for Air Medical Transport, has first-hand experience with this issue. She lived through a crash near Seattle that occurred because her pilot took off with one motor at ground idle. I know of three crashes with pilots attempting to take off in AStar helicopters with hydraulic switches set incorrectly. In two of the three, people were killed. In each of these cases, the pilot failed to properly configure the aircraft for takeoff. This problem cuts across all lines of attitude, age, and experience. We can look at all these accidents and say, “Well, that pilot was inferior. He made a mistake I would never make.” That’s invulnerability talking. On the other hand, we can recognize that humans, by our very nature, make mistakes. Our personalities are composed of the cognitive, the emotional, and the behavioral. Three chances to get things right. Three chances to get things wrong. We get in a hurry, we get distracted, we get complacent or we get tired, and we miss something. They did it. I did it. And you or your pilot might do it too. Lifestar Savannah adopted the practice. When Omniflight expanded our service and opened a base in Vidalia, Georgia, the practice went there, too. It’s all they ever knew. No one thought twice about it. None of those bases ever had a problem related to missing a switch or control. Everyone on board knew when the aircraft was going to take off; everyone was “in the loop.” More than once a mistake was caught — before takeoff. I discussed using a medical team member for challenge and response with the director of flight operations of a large air medical company three years ago. He said he endorsed the idea and would take it up with the chief pilot. But nothing was done and the crashes in that company continue. Another DO told me that the medical side of the business has intruded into the aviation side enough — that the answer is training and standardization for the pilot. I don’t think you can train the human out of a standard pilot. But you can add a layer of safety to account for the human factors at play. Is any safety layer perfect? Does any practice or procedure absolutely prevent disappointment or disaster? No. I know about the Swiss-cheese model and slipping through the cracks. But if making a change eliminates a majority of mishaps, if we can save a life or two or a helicopter, shouldn’t we keep our minds open to the idea of change? 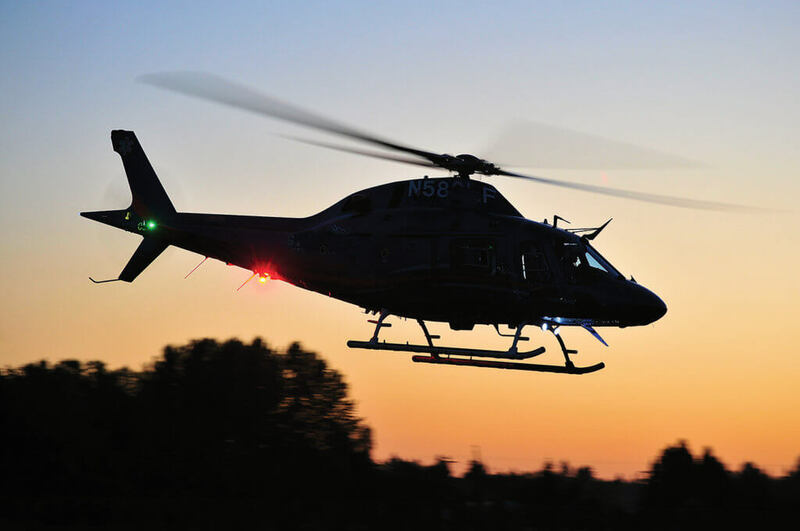 A National EMS Pilots Association friend noted that many programs have never had the issue of taking off with a switch or control in the wrong position, and it’s not fair to ask them to change how they operate. It is impossible to tell people how to feel about something. But I would like people in our industry to consider my proposal. After all, many programs have a perfect history, right up until the minute they have a crash. Were they good? Or were they lucky? Some have suggested I delay and perfect this proposal before putting it out. That I conduct surveys. That I do research. I have all the information I need now. It’s in the NTSB reports. 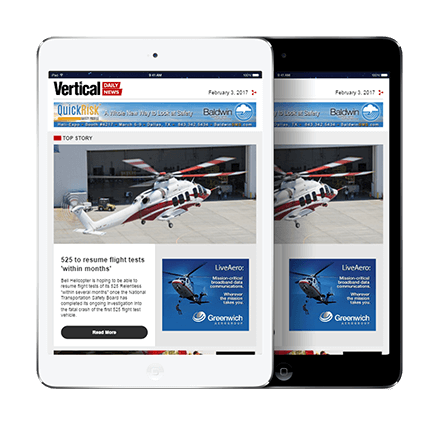 I published a position paper about this on my blog at HelicopterEMS.com, and linked it to the Facebook page with the same name. At last check, 15,536 people have read my proposal. It’s been shared 52 times. People are interested in this idea. It’s probably the medical folks at your base who hope and pray that you never make a mistake. If you are their pilot; they like you, and they trust you. But like you, they are human and subject to error. They know this. They double check medications, dosages, and intervention plans with each other. They help each other avoid a mistake. They would be happy to help ensure you don’t make a mistake as well. Many programs already incorporate some form of challenge and response. If yours doesn’t, I hope you will consider it. We do it at MedSTAR, in DC, an Airmethods, Hospital based probram and most pilots have welcomed the idea. All he is proposing is to add having a medic/nurse go through the preflight check…how is that a problem? Meanwhile, you are insulting all the medical crews across the country. Why are you even in this field if medical crew are such a huge source of stress for you? Perhaps Brett is a troll….but I’ll take the bait. If he’s not, he’s dangerous and I’m glad I dont work with frim. I’m a medical crew member with 16 years of experience in single-pilot HEMS at 2 different programs…one Air Methods, and one independent. I’ve never worked with a pilot who was so arrogant that he (or she) couldn’t forget something, and didn’t ask for a little help. Our medical crews constantly double check each other so there’s no screw ups, with no offense taken. The pilot has the biggest area of responsibility, and no other pilot to help shoulder the burden of everyone’s lives and legacies. My personal opinion is that single-pilot operations should be phased out as quickly as possible. That’s the safest thing to do, and it’s ridiculous that corporate money is the reason we still have the single most dangerous civilian occupation (depending on what article you read). In the meantime, man up, Brett, there’s no shame in checks and balances, only common sense. I wish people would forget this crew and pilot divide. Everyone onboard is responsible for safety, challenge / responce checklists have been used in the military succesfully for years. If the pilot misses something then everyone may pay the ultimate price. SIngle Pilots Operations should never happen, and even with 2 pilots the whole helicopter crew should be involved in the flight process. Checklists reduce error. If you dont want to use them, you shouldn´t be flying. While I agree that Brett’s idea take it too far the other direction, I can understand his worry. I do not fly medical helicopters but I do fly with a crew and I value my crew members input but they also know they are not pilots. The problem comes in when the med crews think they know how to fly the helicopter better than the pilot. I have a few friends that fly medical helicopters and they have told one of the most frustrating parts of their job is when the med crew think they know the pilots job better than the pilot does. To reverse it, imagine the pilot trying to tell the crew how to treat their patient? It is not an exact comparison given the med crew has one life in their hands whereas the pilot has everyones but you get the idea. Helping with checklists is one thing but I can see it cascading into the med crew constantly questioning the pilot. I am not trying to say a pilot should never be questioned but there is a difference between helping with a checklist or questioning something you know is wrong and questioning everything the pilot is doing. I don’t know what the right answer is, just wanted to provide insight from the pilot side. It should be the duty of 2 qualified pilots only! Being a outsider and a airline pilot and reading your article, I see sevevral things from a different perspective. First of all, the ultimate objective is safety. It is the only guaranty to preserve life, your’s in this case. Everything must be done to acheive that safety. So yes, having a open mind on eventual changes is one thing that is required. Humain make mistake, it is only a question of when ! How do we avoid mistakes ? A good way is by being two pilots and watching each other. If that is not possible because of cost, then finding the best solution to avoid mistake is either a check list or yes a able person to help us staying safe. Being humain is the cause of making mistake and is the solution of catching errors. Clear bounderies must be establish when setting rules, so that everyone know their roles and responsability such as Captains and First Officer. It is the fear of loosing something that prevent us of going forward. I see a lot of pattern in what I read that seem to be going on, that we evolve from in the airline industry. Flight attendants and even passengers can give input to the pilot to help him take a better decision. That is called CRM (Crew Ressource Management) Crew; being every sources possibles. Ego is our worst enemy, I alway let it on the ground for my safety when I go fling. I know things are slow to change but one thing is sure, things will change. So, a highly educated, experienced, and trained individual (flight nurse or paramedic), albeit a different profession, can’t read off a check list? in my humble opinion, that sounds like turf protection to me.